﻿We have the full capabilities of a traditional pet salon brought to your doorstep! Because we are mobile, we are able to work with almost any schedule. best professional ﻿service at a reasonable﻿ price. 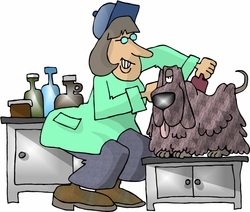 We groom all sizes of dogs, listening carefully to the owners wishes on how we should groom their pet.